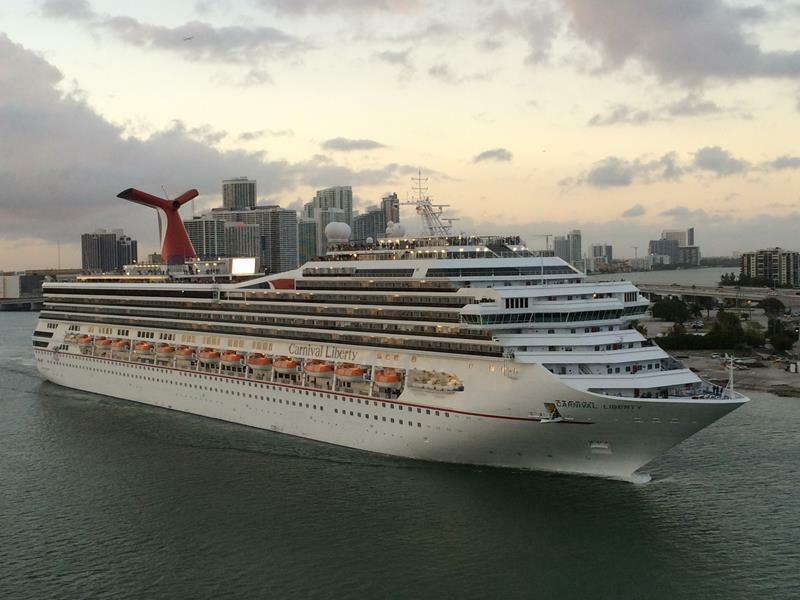 If there’s one cruise line that knows how to bring the party, it’s Carnival. That’s why they’re named Carnival, after all! 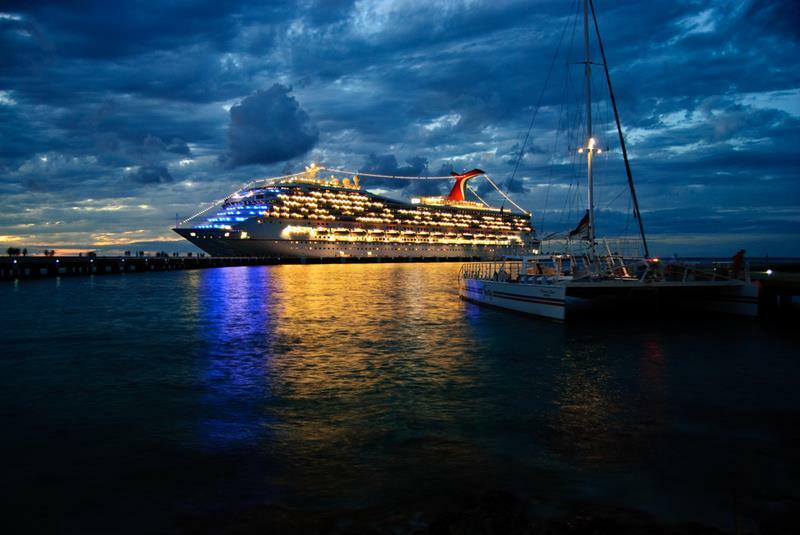 But, when you’re thinking about taking a Carnival cruise, which ship should you sail on? Does it even matter? Well, we’ll certainly say that all the ships in Carnival’s line are great, but we’ve got a soft spot for their Freedom-class ships, of which the Liberty is one. Befitting the class and its theme, the Liberty is tricked out in all kinds of bits of Americana. But, there’s so much more to her than that! 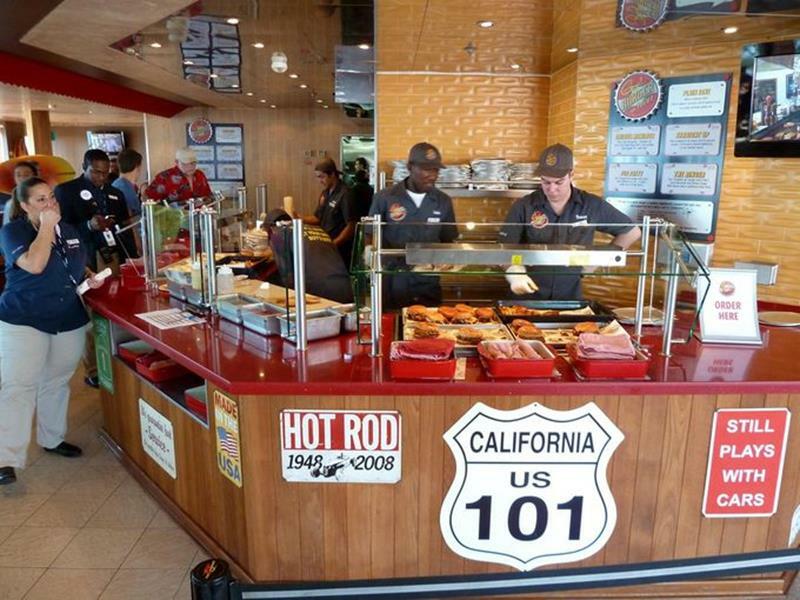 For example, did you know she has a restaurant built by the host of Diners, Drive-Ins and Dives, Guy Fieri? 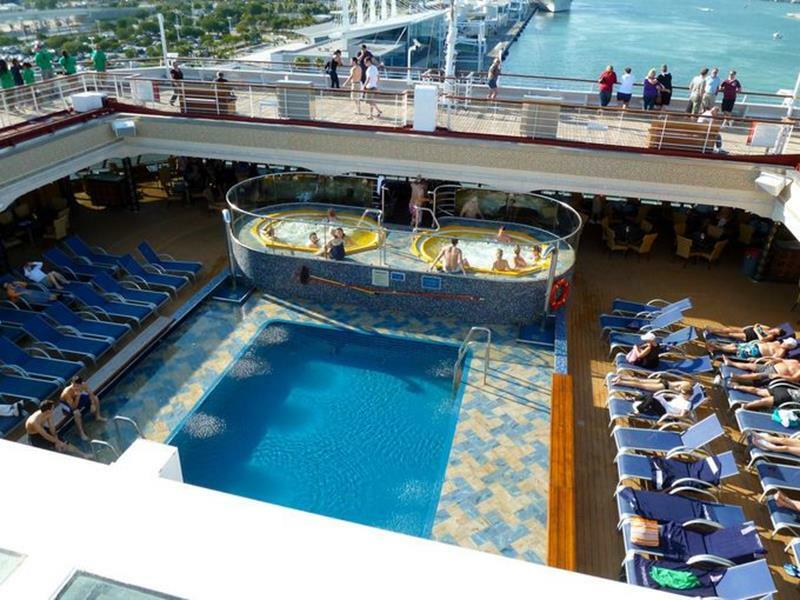 Did you know that there’s even a pool on board with a retractable roof, something which is becoming more and more popular these days? Well, all of these things are true and so much more! 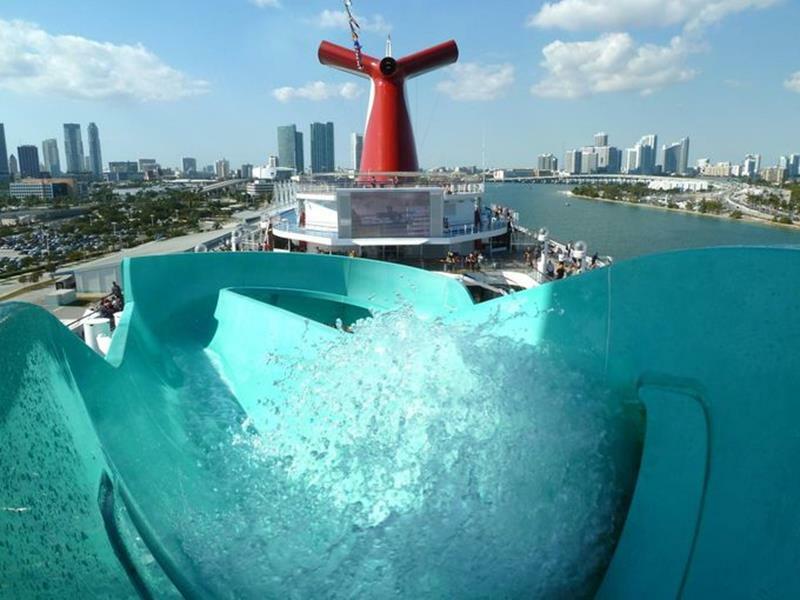 So, why not come along and take a tour of the Carnival Liberty in these 23 amazing photos. 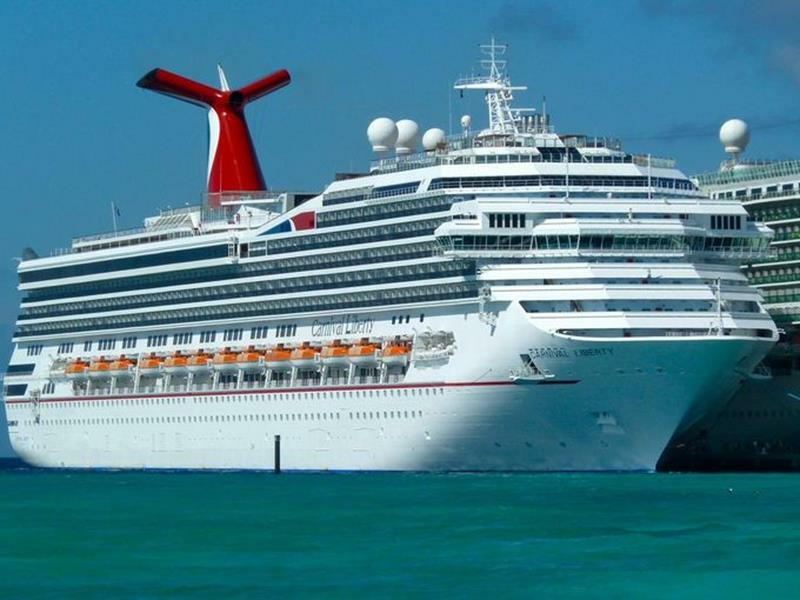 You’ll see firsthand why we’ve got such a soft spot for this amazing ship, and maybe – just maybe – you’ll develop the fondness for it that we have… Which may lead to your next cruise vacation booking – but that’s for later! 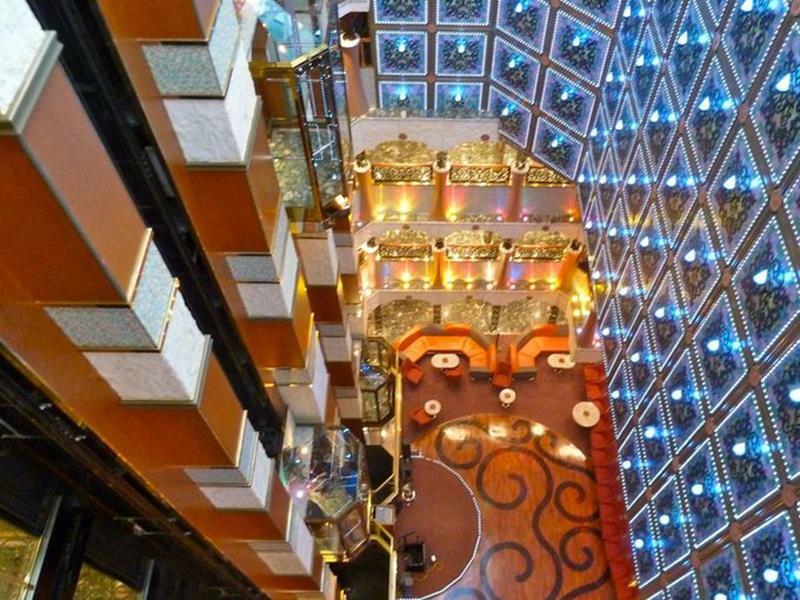 Carnival’s got a number of awesome cruise ships, and the Liberty might be the best! 2. Right to the Fun! Carnival Cruise lines is known for giving its passengers a good time; this is evident up on the Liberty’s deck, where you’ll find the Coney Island Pool area. Around that massive waterslide is the pool area we just spoke of; as you can see, it’s always buzzing! You might say that the main pool area has no chill! 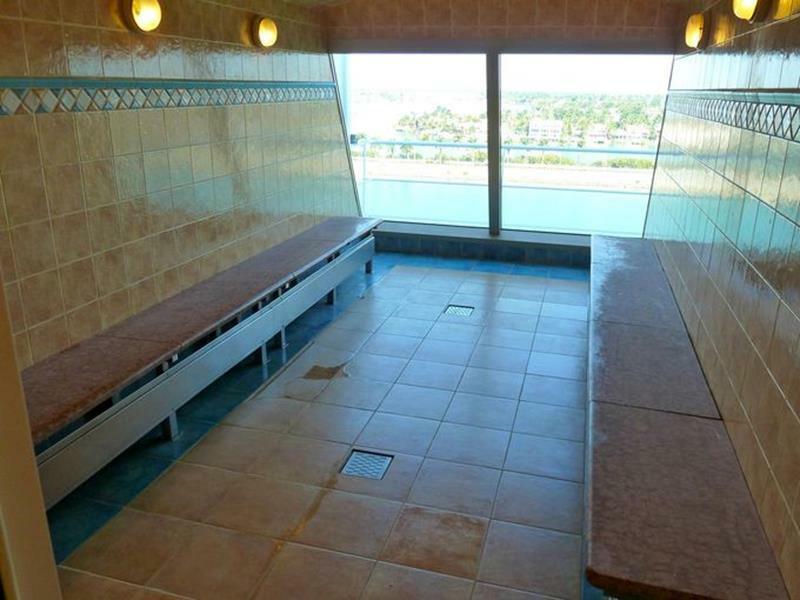 Well, if you need to relax, there’s plenty of Jacuzzis to be found elsewhere. 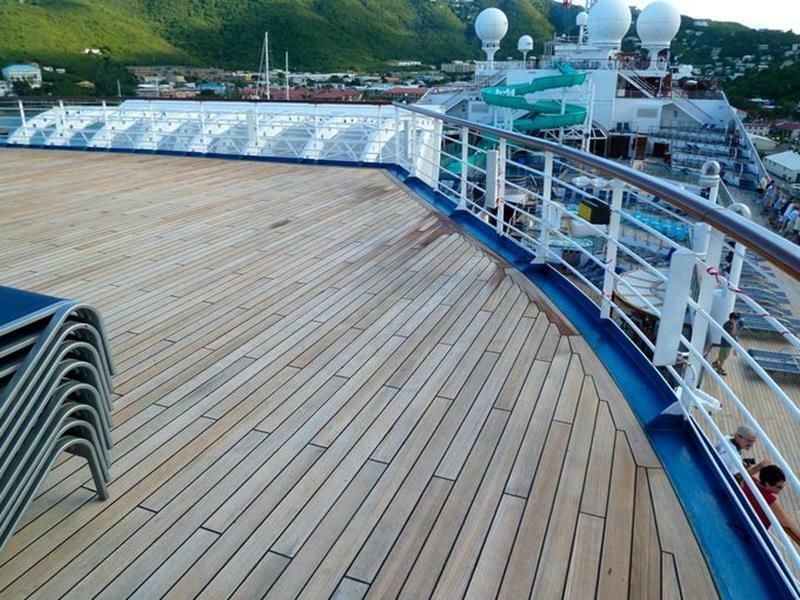 If you want to be near the action but not on top of it, then you can get some sun tanning done on Deck 12. 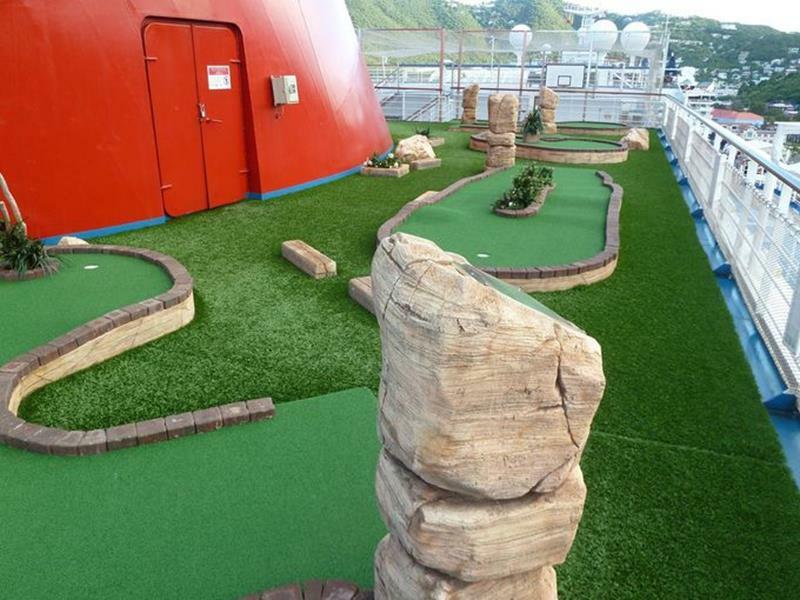 No cruise ship would be complete without a fun mini golf course, and you’ll find the Carnival Liberty’s located aft. If it’s just you and a special someone (or if you’re flying solo), then you can have more of an adult pool time in the Versailles Pool and Bar Area, which has a retractable roof. 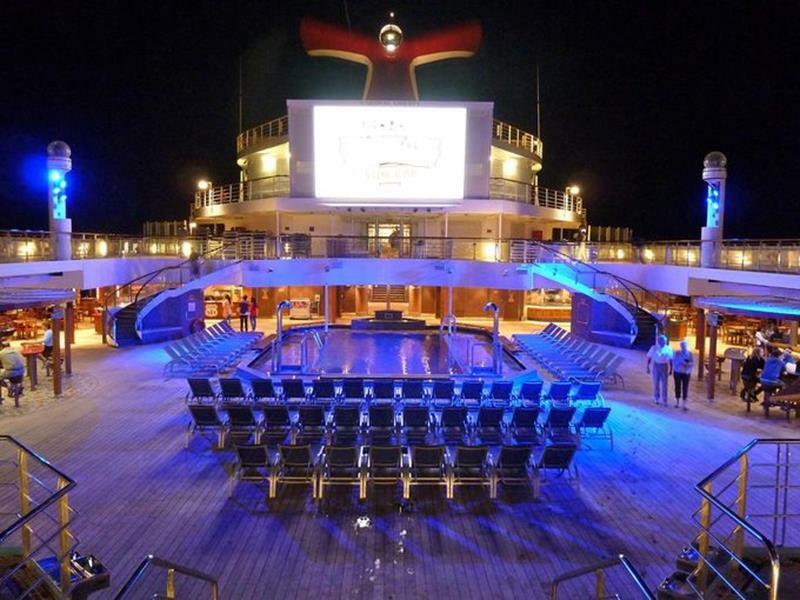 And, like many of the other Carnival Cruise ships, the Liberty has its own massive LED TV screen for late night movies and concerts. 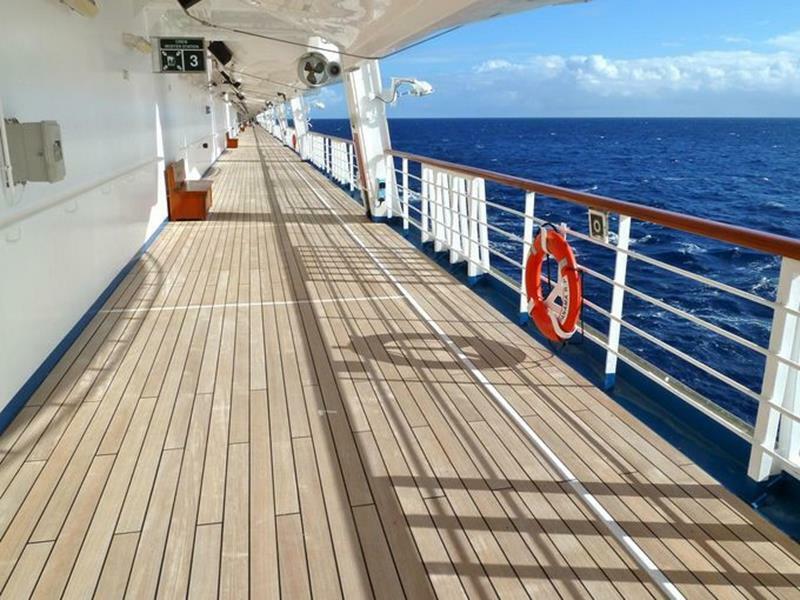 Along the lower levels of the ships, you’ll find these beautiful open-air promenades with teak decks. 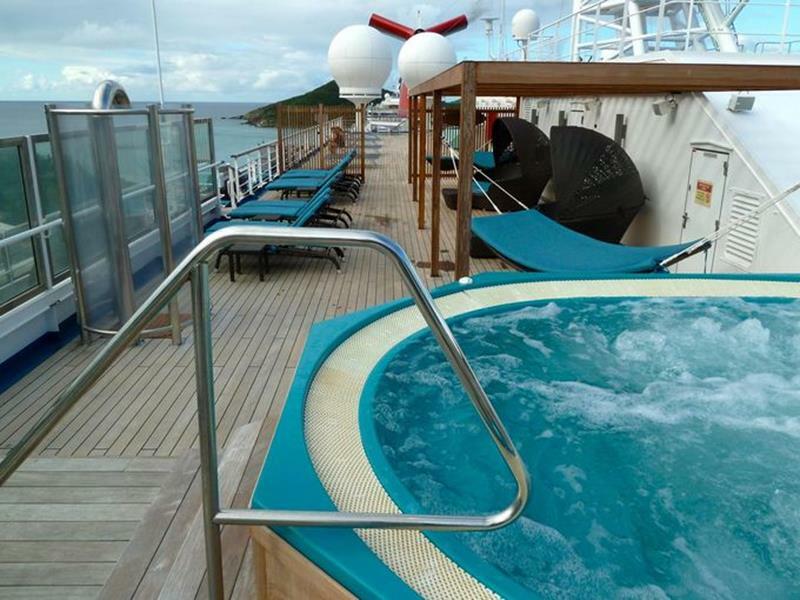 Those who want to really unwind while they’re aboard the Carnival Liberty will be glad to learn that it has a first-class spa. Working on your fitness? 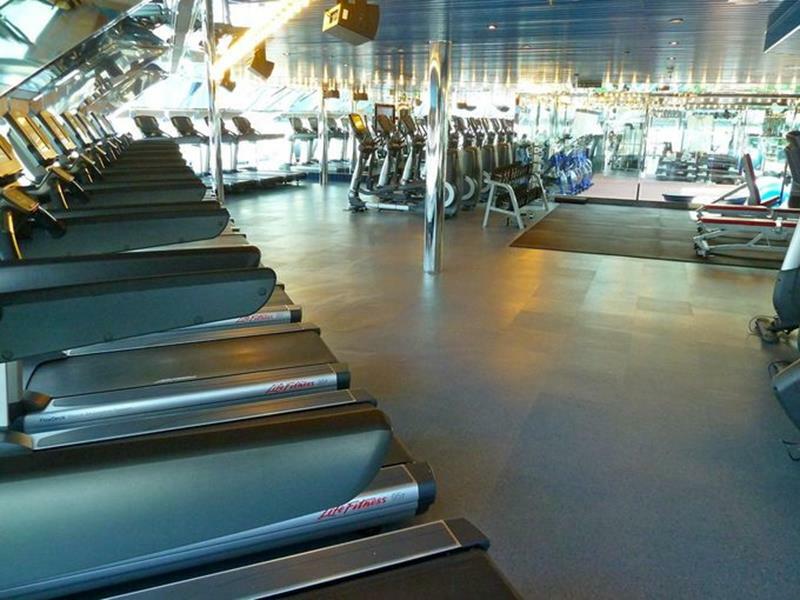 Then you’ll be able to keep up to speed with that gym routine aboard this awesome cruise ship. And, even if you don’t have a regular gym routine, you might want to hit the fitness center after a delicious steak dinner at Harry’s. 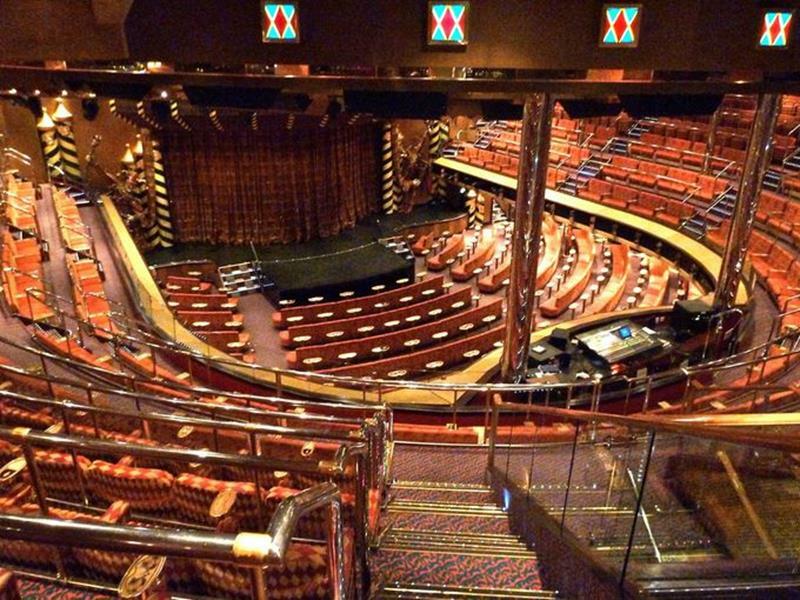 As far as centers of activity in the ship are concerned, the Atrium is definitely the gathering place, spanning multiple decks. Are you, like many others, a fan of the human Roman candle Guy Fieri? 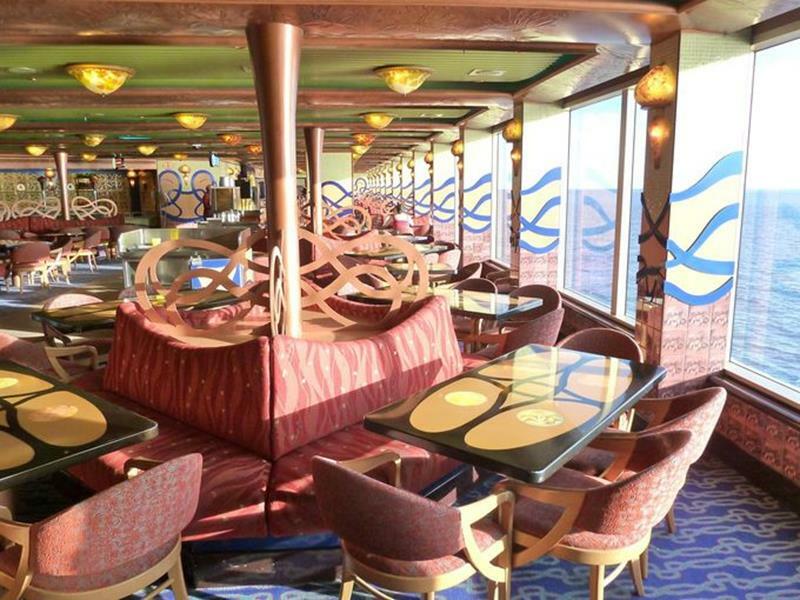 Then you’ll want to check out his burger joint on board. 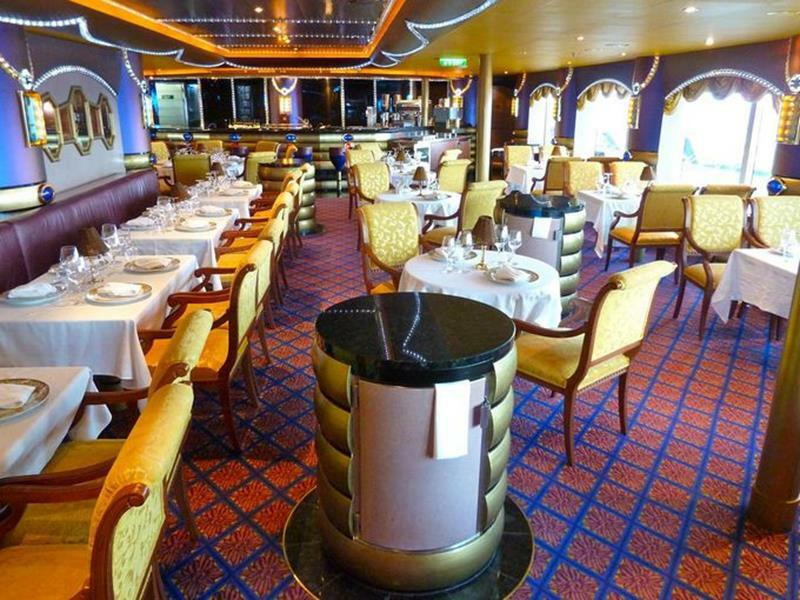 Serving as the main dining room aboard the Liberty, Emile’s Lido offers a comfortable and attractive environment in which to chow down. 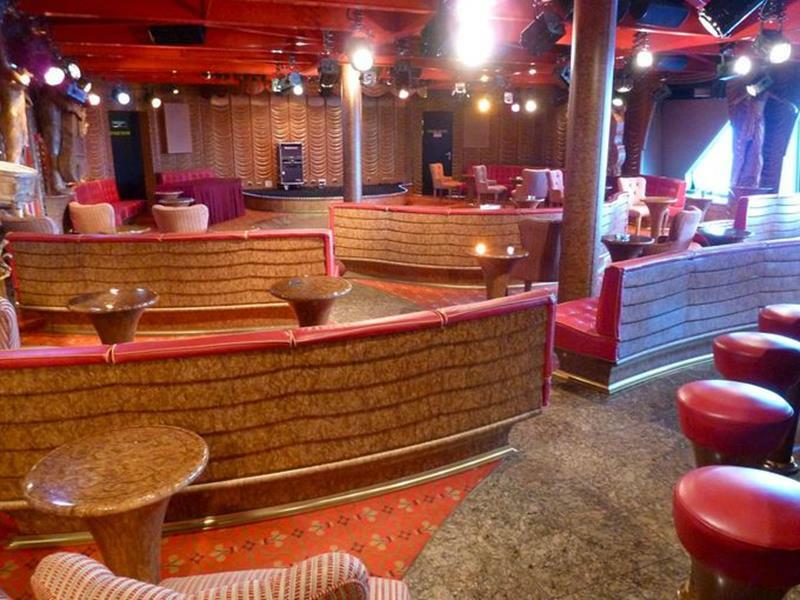 The main hub of entertaining aboard the Liberty is called the Venetian Palace Showroom. The shows that are put on here are even more impressive than the space! Need to keep up with the home team while you’re on vacation? 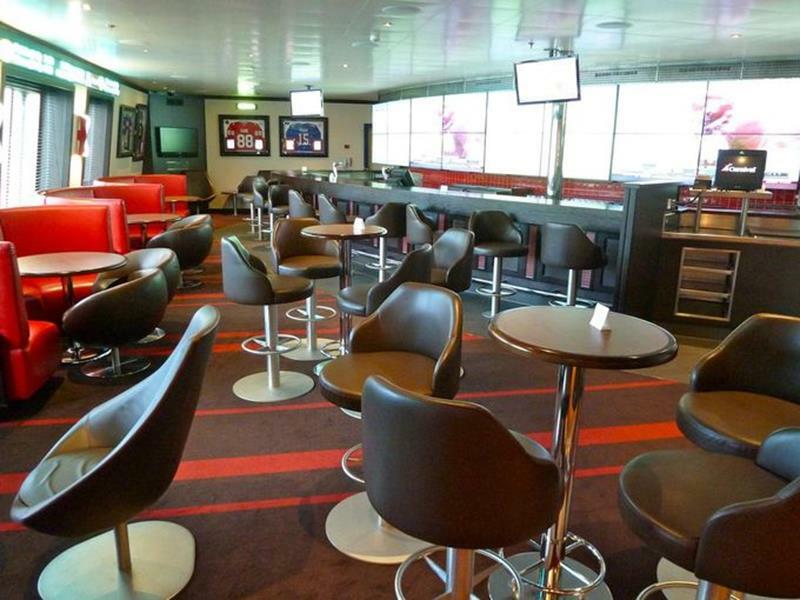 You can do that at the EA Sports Bar. 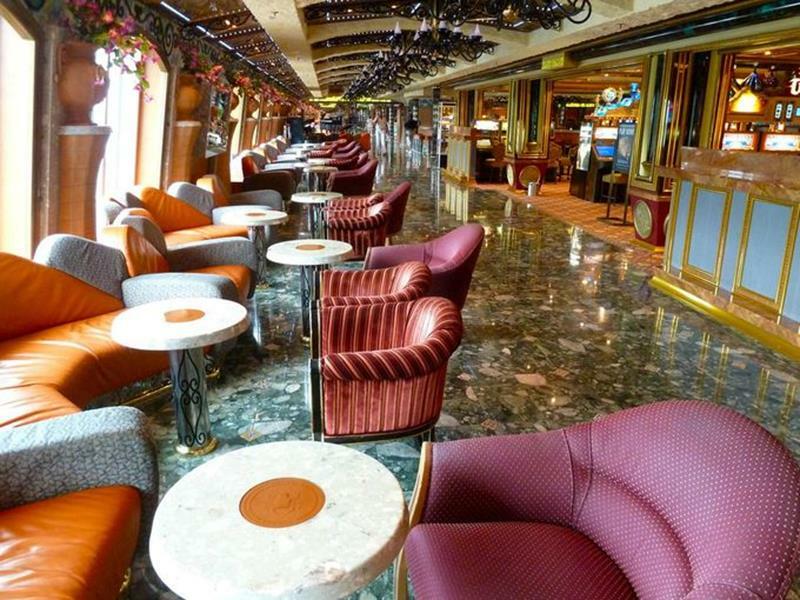 The Garden Villa Atrium functions as another hub of activity on board. Here you can see the beautiful marble promenade that it boasts. 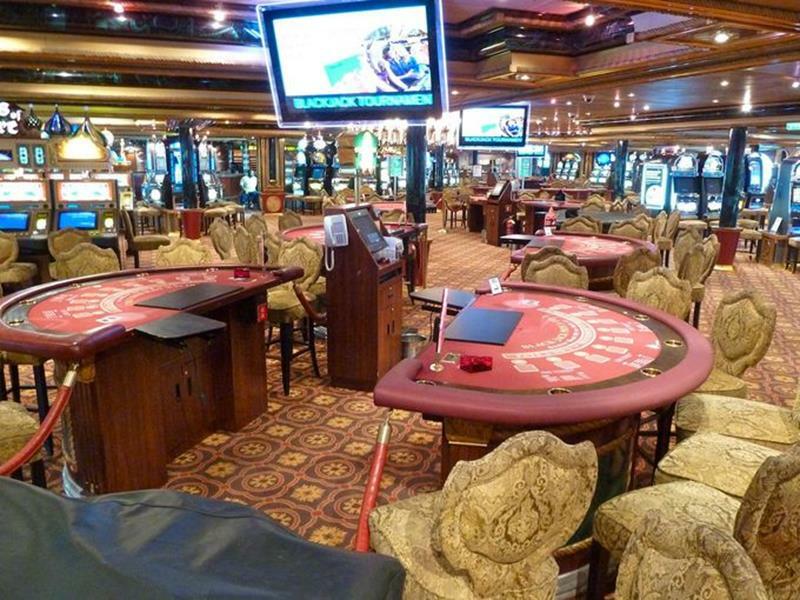 You probably noticed it in the last picture, but yes… The Liberty has a fully functioning casino with everything from slots to table games. 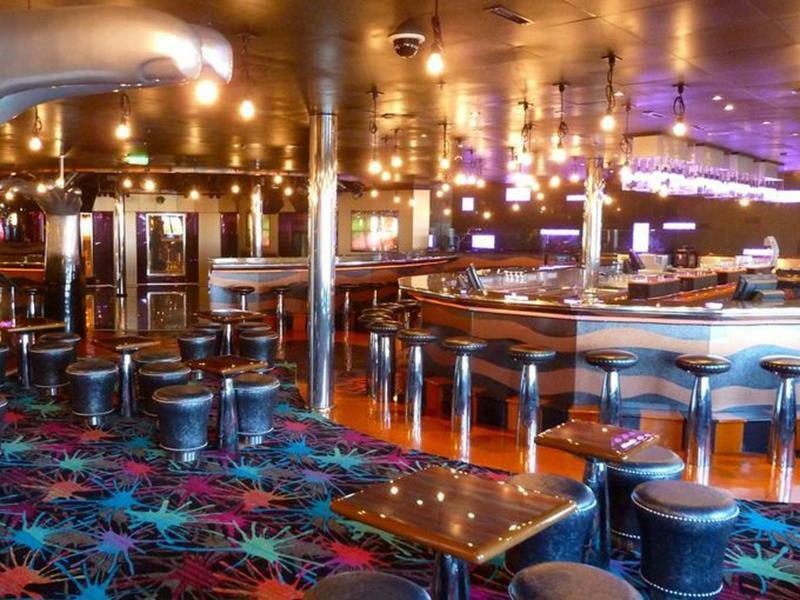 If you’re in the mood to dance, dance, dance, then you’ll be taking more than a few trips to the Hot and Cold Dance Club. 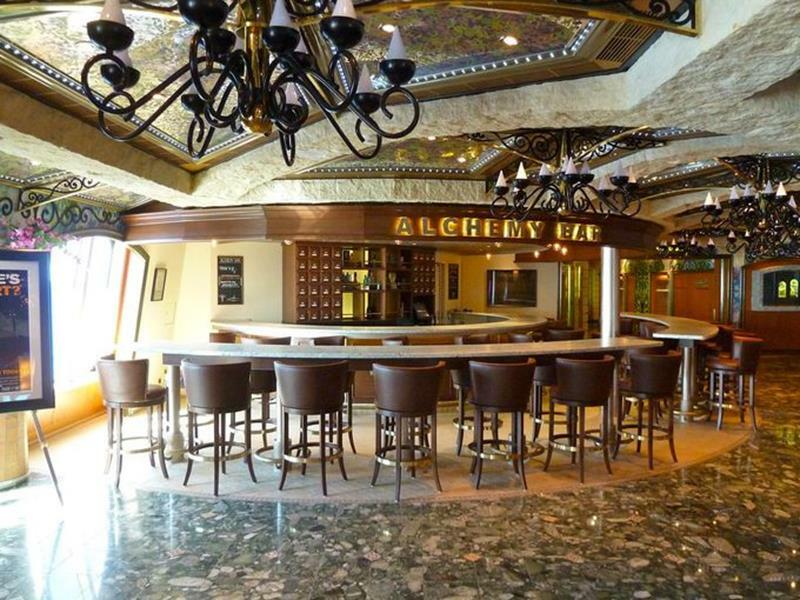 Alternatively, if you want a classy nighttime cocktail experience, then a trip to Alchemy Bar will be in order! 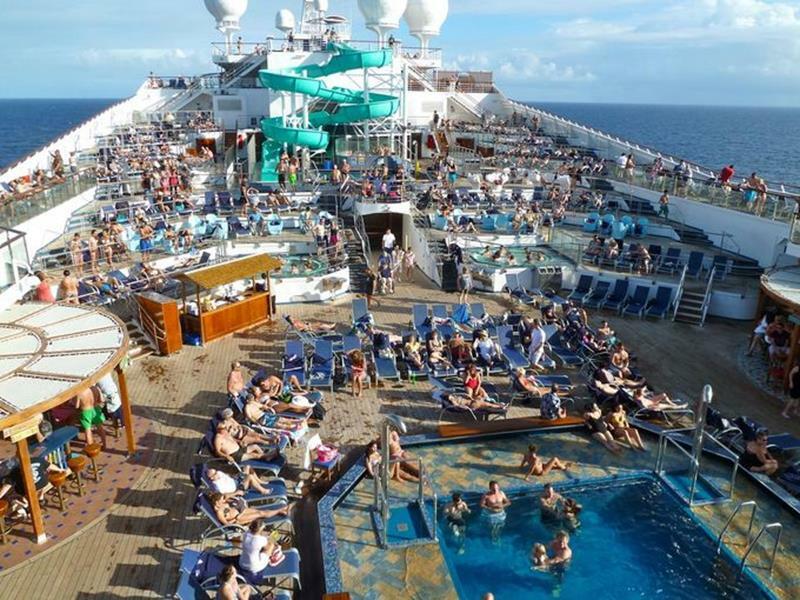 We’ve only touched the tip of the iceberg when it comes to the fun you can have on this awesome cruise ship. Maybe it’s time you saw it for yourself?